Exploratory Track Public Health and Health Sciences students can expect to learn about the fields of Communication Disorders, Nutrition, Kinesiology, and Public Health all the while being supported with specialized advising as they explore majors and coursework beyond the School of Public Health and Health Sciences (SPHHS). Exploratory Track (ET) advising will assist students with their consideration and ultimate declaration of a major based on their interests, eligibility, and academic proficiency. 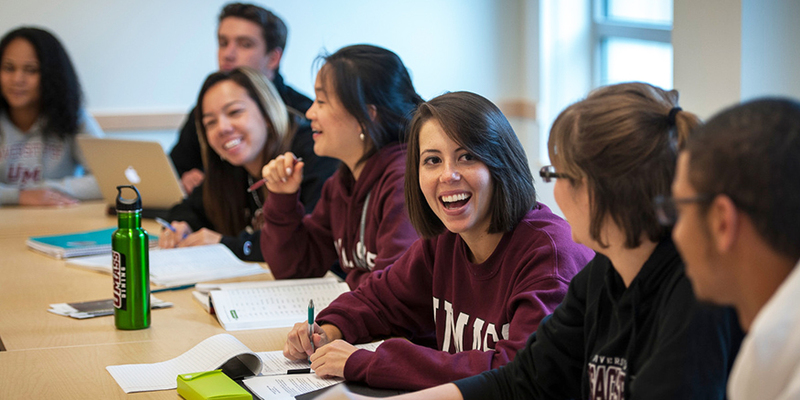 Exploratory Track students must declare a primary major (one that leads to degree completion) no later than the registration period during their third full-time term (typically fall of sophomore year), after two graded full-time fall or spring semesters, at UMass Amherst. Your Academic Dean may approve an exception for extenuating circumstances, to allow additional time to declare the major. Students who need academic advising on the Exploratory Track in the School of Public Health and Health Sciences should contact Student Success Advisors. Click on the tab below to learn more or to book an appointment. Torin is a Student Success Advisor in the Center for Student Success at SPHHS. He received his B.A. in Political Science and his M.Ed. from UMass Amherst. Torin has spent the better part of his career in higher education, having worked at three of the five institutions within the Five Colleges; UMass, Amherst College, and Hampshire College. Torin brings a true commitment and passion for working with students and is excited for the new opportunity to work with Student Success in SPHHS. Use the comments section to provide details on what you hope to discuss during your advising appointment. Our Peer Advisors can assist you with: SPHHS Exploratory Track advising, finding campus resources, using SPIRE, getting more information about SPHHS majors and other majors/programs at UMass. Drop-In Office Hours in Arnold House Room 119. Book an Advising Appointment Now!